The town of Kodungallur once again eagerly awaited the arrival of Swami Vivekananda on February 11th 2018. 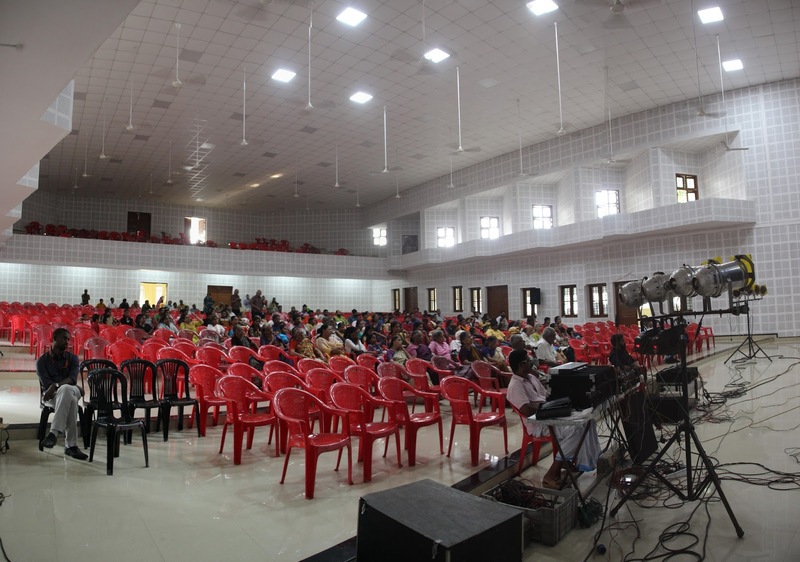 The venue, Municipal Town Hall. 125 years ago Swamiji in the course of his wanderings across the country had visited Kodungallur in 1892 before leaving to attend the World Parliament of Religions. The event started with lighting of the deepam and inaugural talk by Ma. Lakshmi Didi. This was followed by a powerful and inspiring talk by Sri. O. Satish, Joint Secretary, Bharathiya Vidhya Nikethan, Thrissur District. Viswam Vivekanandam, a Light & Sound based dance drama was being presented by Perambra, Kozhikode based "MATHA", a Limca Book of World Records holder and headed by Sri Kanakadas. The vibrant troupe presented the life of Swamiji and held the audience spellbound.